The markets had a really rough go of things on Friday which caused problems for many, if not most, stocks. 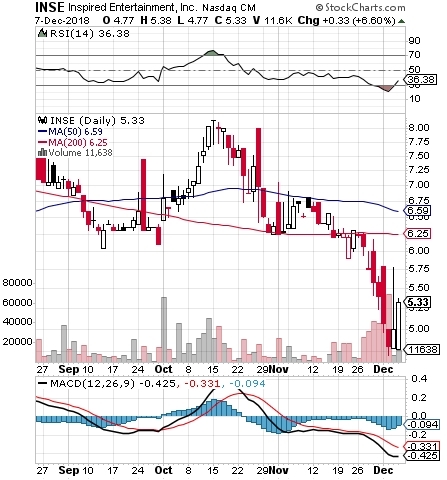 INSE was among those few that managed to buck the trend, as the stock continued to exhibit bottom-bounce characteristics. That’s why we wanted to place INSE on recovery watch, just on the heels of its quarterly report. The overseas virtual sports gaming company relayed considerable revenue growth for the period, while outlining its intent to penetrate further into the North American markets. INSE is going to be an interesting play to watch into the New Year, as it already received positive feedback from a trial run with the Pennsylvania lottery. Speaking of bottom plays, the similarly-designated INSY also just caught our eye this morning with an attractive bottom-play setup in the works. 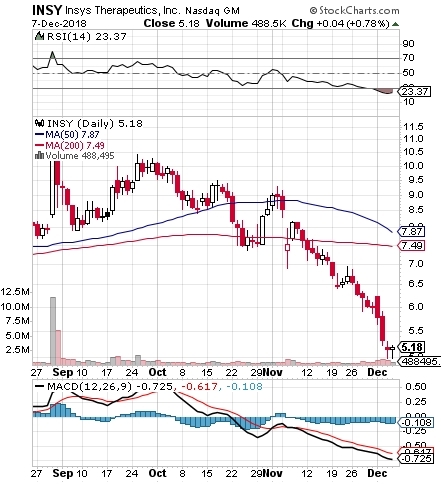 As you can see from the included snapshot of this one, the stock is quite oversold, and has established a fairly solid level of support from which a considerable rebound may be possible. We’ve seen XGTI make its way up nicely from a low of .08 subsequent to our tag of the stock late last month, but despite it already being up considerably, we reinforced our bullish opinion of it in yesterday morning’s premarket report. PTX is another one we’ve tracked in the past which we re-alerted this week on the heels of a newly-registered 52-week low on Friday. The stock made a nice move on Monday, and continued its ascent yesterday. We witnessed a trading range from .98-1.25 which works out to a solid 28% upswing on the day, and it came on more than eight times the 3-month average volume. We tagged CBBT based on observing some abnormal volume on Monday, and despite sliding for the first half of the day, the stock did register a higher low and higher high from the session prior en route to a nice intraday swing. It traded from .53-.86, making a 62% pop and closing with strength at .85.